Wizard World Chicago 2017 Photos, Part 1: Comics Cosplay! « Midlife Crisis Crossover! 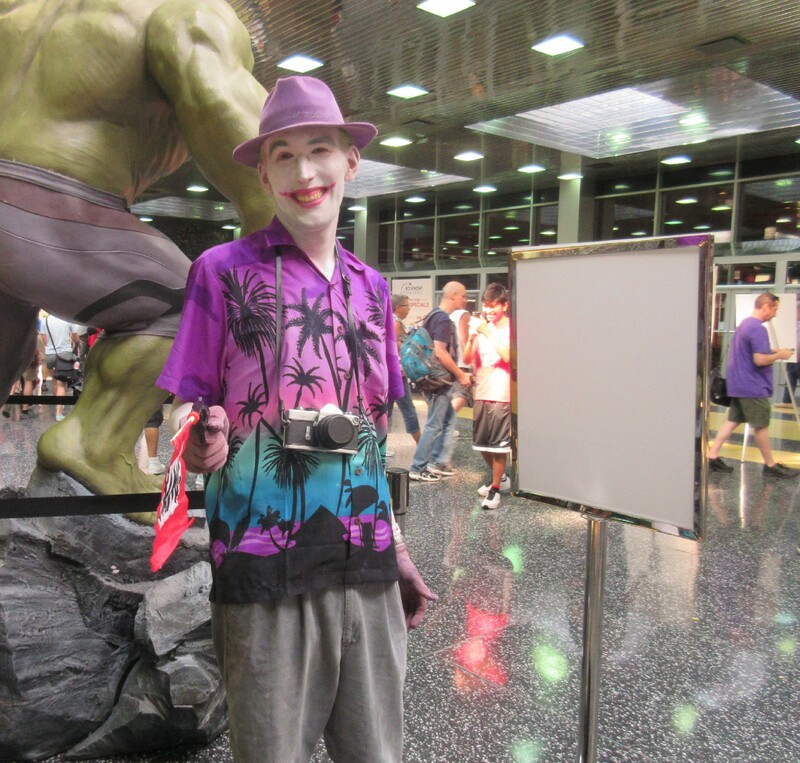 Wizard World Chicago 2017 Photos, Part 1: Comics Cosplay! 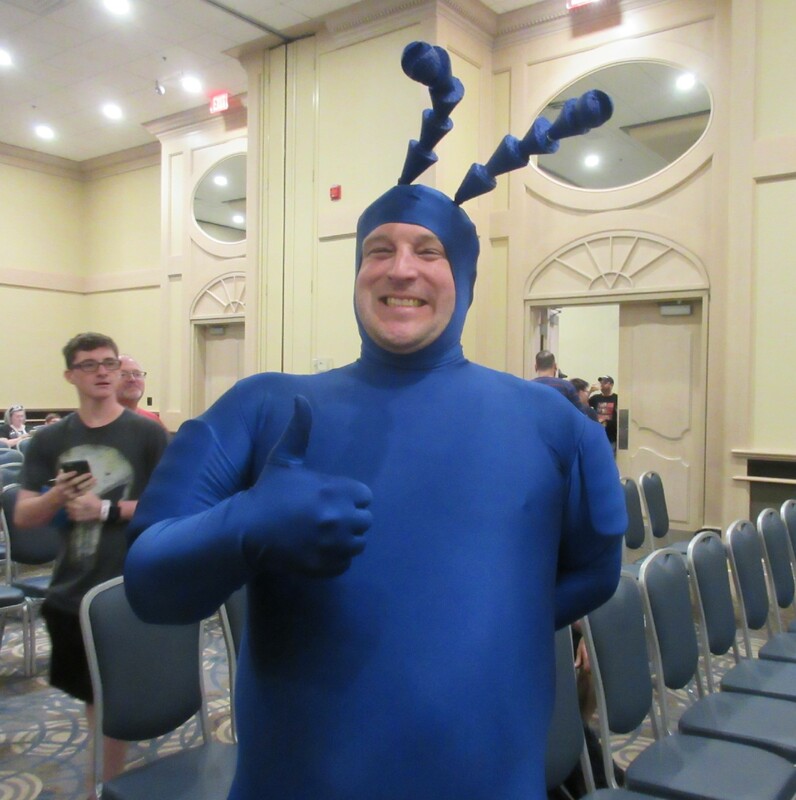 I’m so old, I remember when the Tick wasn’t an Amazon Prime superstar, and creator Ben Edlund was still writing and drawing his adventures. 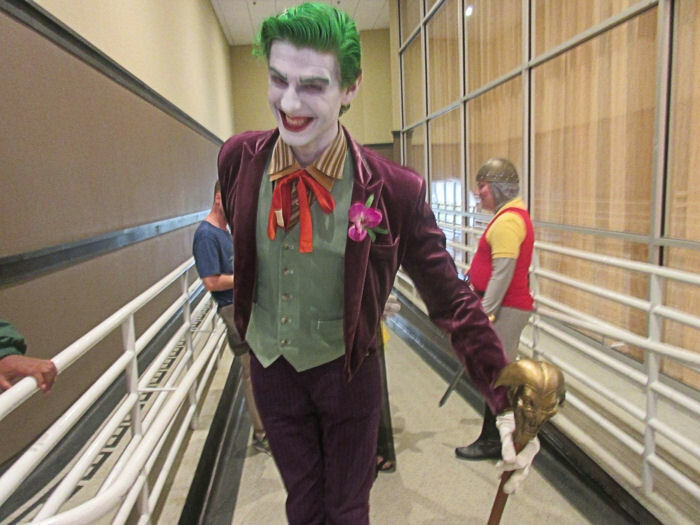 …and what we nearly always do is lead off a new convention miniseries with the mandatory cosplay galleries. We captured whoever we could while wandering the show floor Friday and Saturday in between the long lines and longer waits. (For a few reasons we skipped Sunday this year.) I have no idea how many chapters this particular experience will run, but the first three will represent a fraction of a fraction of a fraction of the costumes that were in the house. 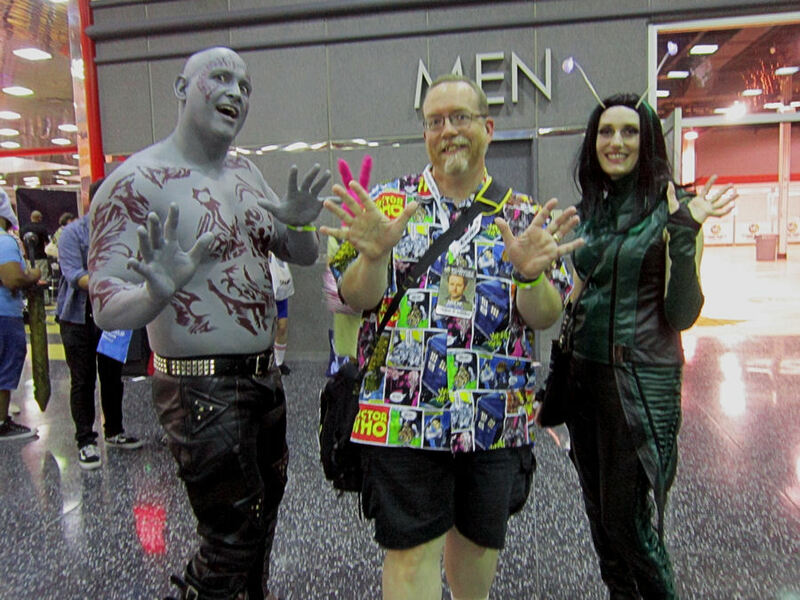 Because I always feel the need to divide cosplayers into arbitrary categories, our first set spotlights the stars of screen and page from the world of Marvel, DC Comics, and other publishers out there, as well as from their movie and TV adaptations. Gentle reminder: there are more than two comics publishers out there. Enjoy! This Joker with a pitch-perfect Mark Hamill voice kept us company when security wouldn’t let anyone pass through the Skybridge before 10:30 a.m. on Friday. If you thought Thawne, Zoom, or Savitar were creepy speedsters, wait’ll you get a load of this Flash. Differently creepy but also accurate: Joker from Batman: The Killing Joke. 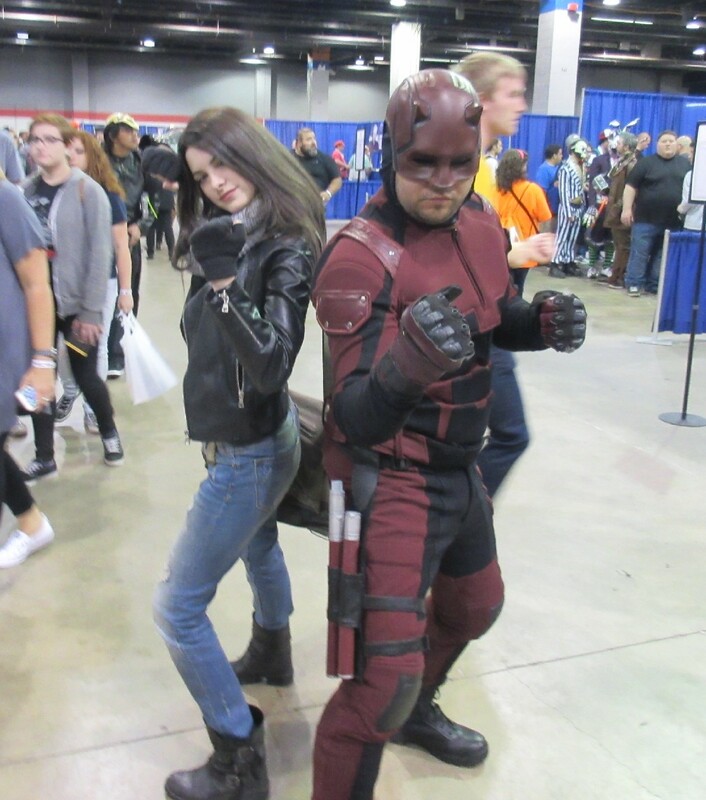 Jessica Jones and her spunky sidekick Daredevil. 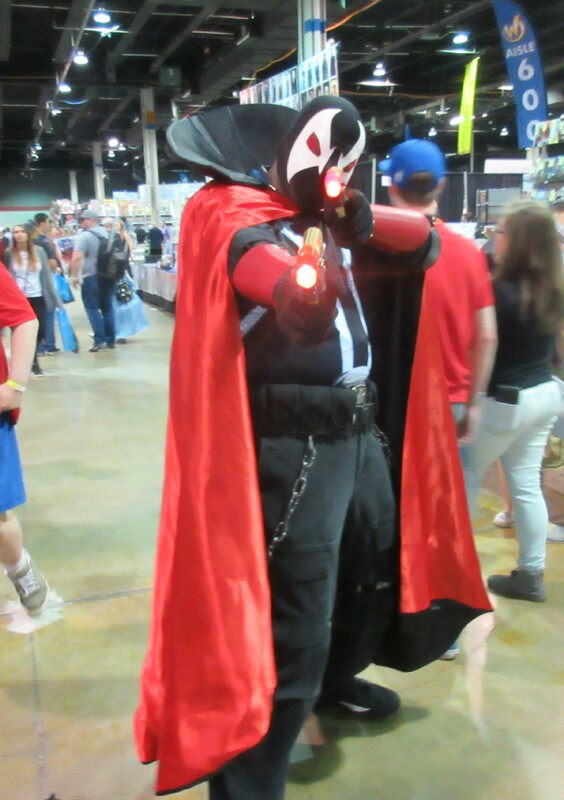 Spawn , for the remaining Todd McFarlane fans out there. 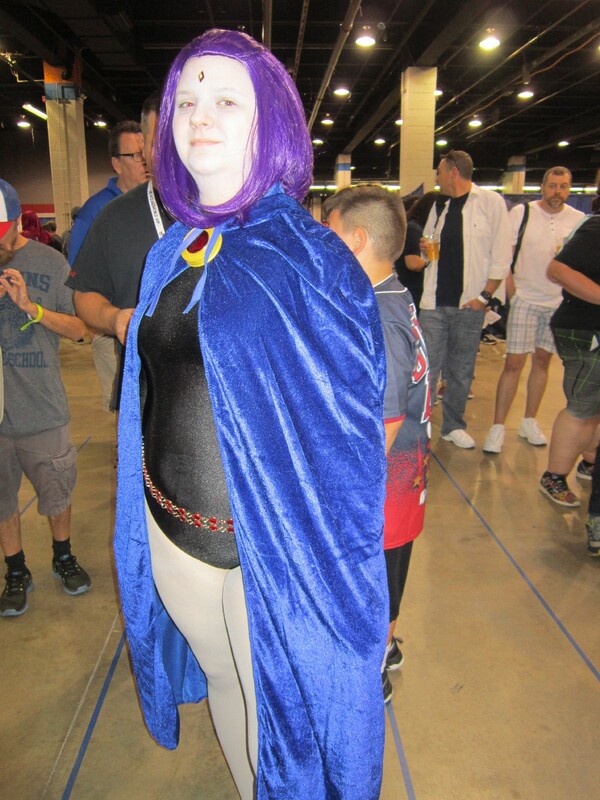 Raven from the Teen Titans. 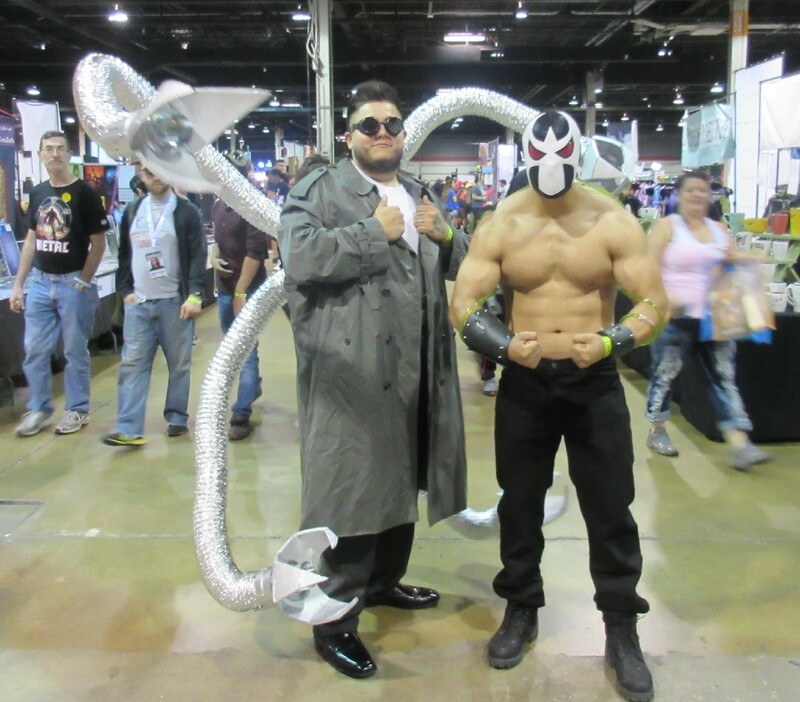 Doctor Octopus and Bane lead a support group for popular comics villains who’ve only appeared in one movie sequel each. 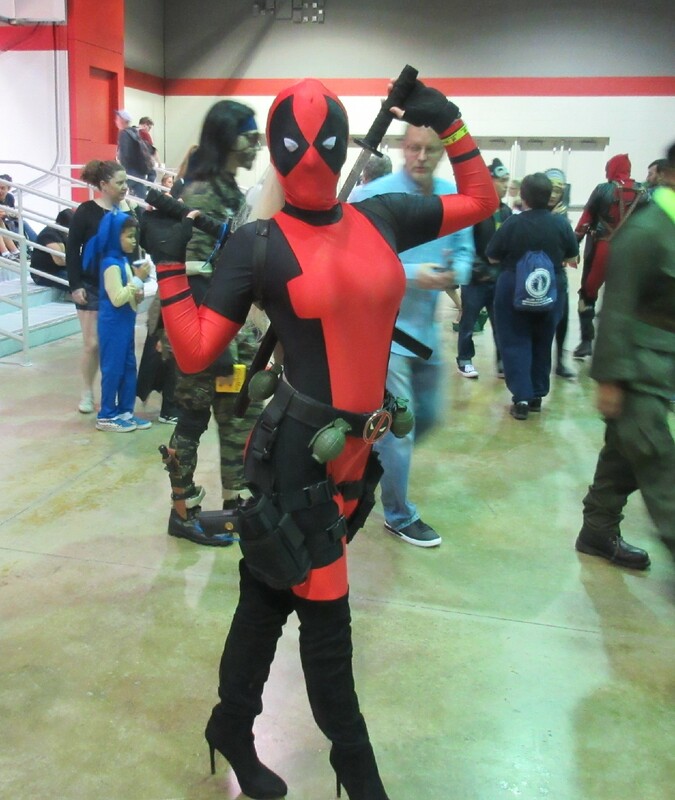 Lady Deadpool! Somehow, incredibly, the only Deadpool variant we got all weekend. 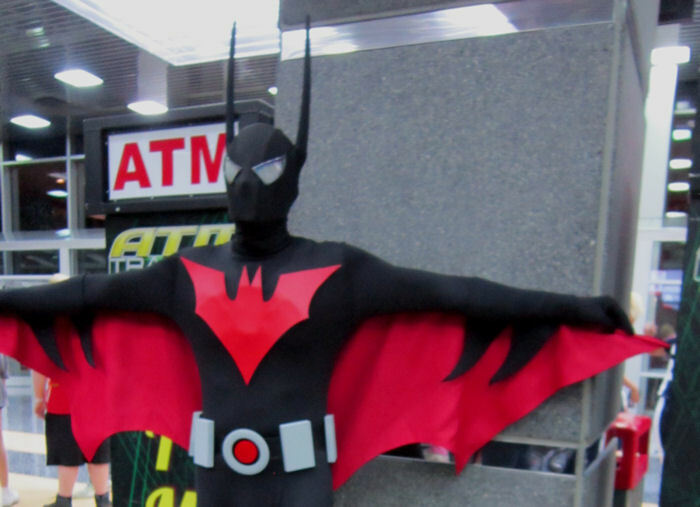 Batman Beyond, preparing to soar through the Stephens Center lobby. Good luck with that. According to our limited anecdotal statistics, this year female Negans outnumbered male Negans 2-to-1. 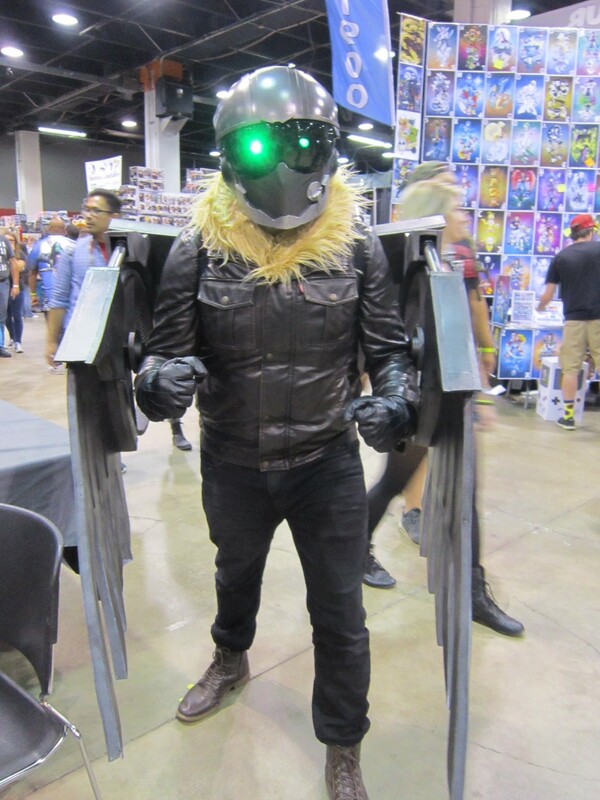 The all-new all-different Vulture from Spider-Man: Homecoming. 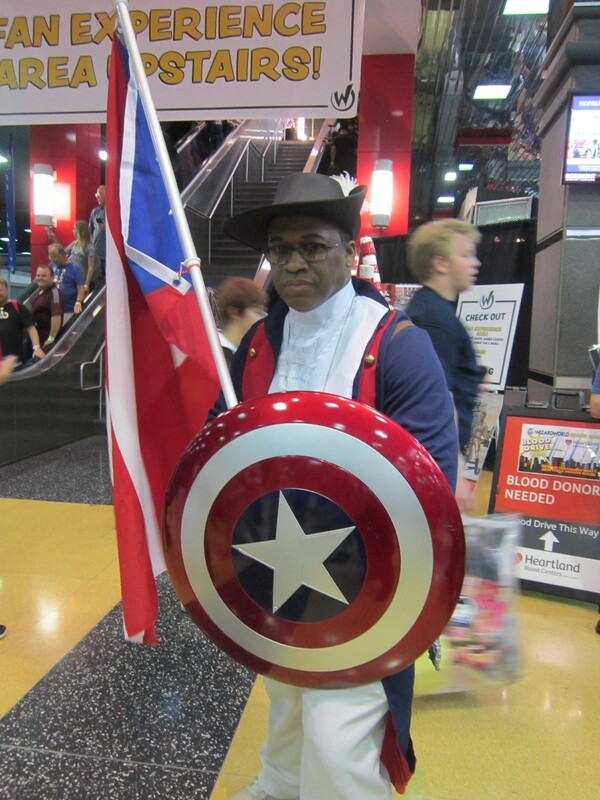 Revolutionary War Captain America, guaranteed 100% Nazi-free. Drax + Mantis! Fun story: we didn’t realized till we got closer that they were familiar folks. Anne first met them in Burt Reynolds’ photo-op line at WWC 2015, where they hung out together and had a blast. And they get jazz hands. 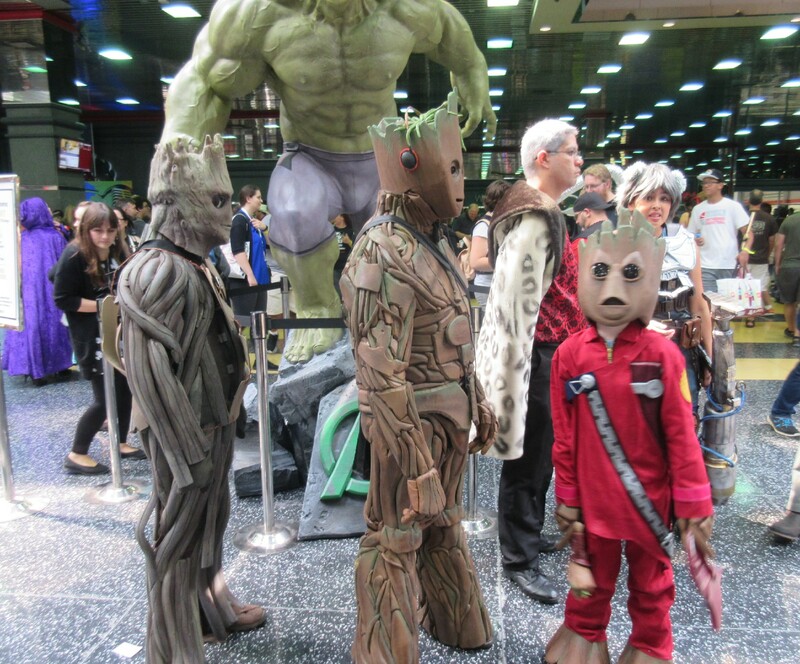 Awesome folks, awesome costumes. I discovered your blog a month or so ago and find every entry to be highly entertaining. Even more so when I discovered your a mid-westerner like me! Keep up the great work! PS As fellow Whovians, any chance you’ll be attending Time Lord Expo in Dayton in October? PPS I hate to be THAT person, but that’s not Gamora in your last picture, that’s Mantis. Actually, thank you very, VERY much for being that person! I saw GOTG2 but my brain skipped a groove while finishing that last caption. Fixed now. Thanks for the kind words. We weren’t even aware of Time Lord Expo and may have a schedule conflict, but we’ll have to keep that one in mind. Thanks! 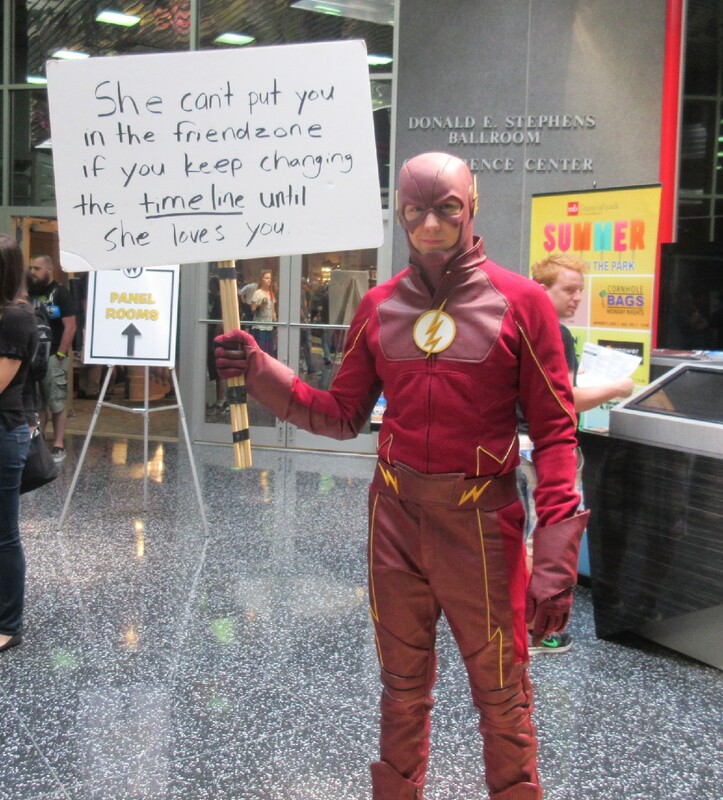 Sadly, we’re not close acquaintances with very many cosplayers. Most are strangers we meet only by chance, rarely more than once. If they provide a business card (which happens sometimes), I add a link to their official cosplay under their photo. 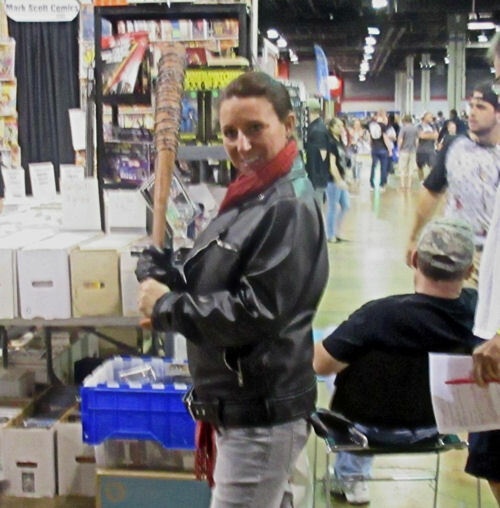 In the case of this year’s Wizard World Chicago, that didn’t happen for us. Sorry!